Rajahmundry: Three statues of the Dalit icon Dr B.R. Ambedkar were desecrated, their index fingers broken off, by unidentified persons at three locations, early on Friday. 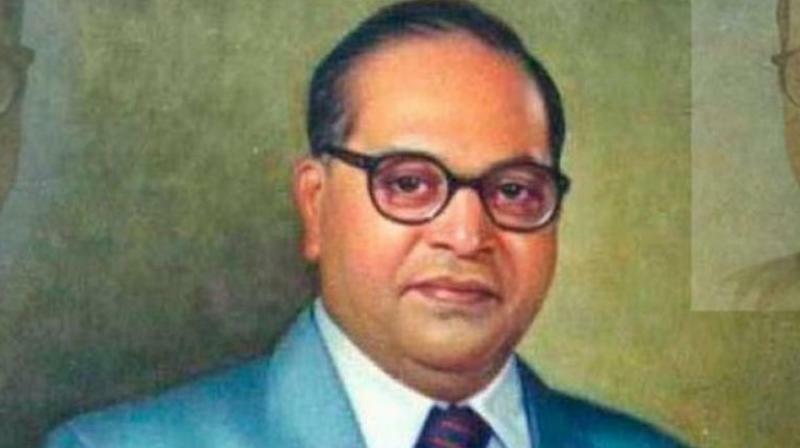 The incidents come on the eve of the birth anniversary celebrations of Dr Ambedkar, the father of the Constitution, on Sunday. The incidents were reported from Komaragiri and China Komaragiri of the I. Polavaram mandal and Annampalli of the Mummidivaram mandal in East Godavari district. According to the police, after noticing that the statues were damaged, locals in all the three villages staged a protest on the road and demanded that the police take the culprits to task. Locals said it appeared that the fingers had been broken with a hard blow from a stick. As police personnel were posted for security at polling stations on Friday, they faced a tough time in pacifying the irate villagers. The police pressed a dog squad and the clues team to track the culprits. Police also set up pickets in the villages to ensure there was no breach of peace. It is yet to be established if those who had desecrated the statue had done so to create social unrest in the villages. The police has booked cases in their respective police stations and further investigation are underway.